The event is Tuesday, May 14 at the University Club of Milwaukee (924 East Wells Street, Milwaukee). Lunch begins at 11:30am, with discussion starting at 12pm and running through 1pm. Space is limited, so be sure to register early (link). In April 2018 Concordia University Wisconsin broke ground on the Robert W. Plaster Free Enterprise Center’s 41,000 square-foot academic building to promote the future of where entrepreneurial collaboration and health care innovation can unite. This space will include a functioning medical clinic accompanied by incubator and collaboration space for business start-ups. The three-story space will be opening in Fall 2019 and house the Batterman School of Business as well as the Next Generation Healthcare Leaders (NGHL) student group supported by the Wisconsin Chapter of the American College of Healthcare Executives. The business school has been atop the list of largest MBA program (within 100-mile radius of Milwaukee) for the past several years and is continuing with those efforts to support students and the community to ignite opportunity for collaboration. In addition to Concordia’s engagement and participation in start-up and accelerator competitions focusing on solutions in health care, Concordia also hosts an annual Healthcare Economics Summit focusing on the business of health care with participation from key stakeholders and leaders from around the state, region and country. More recently the past keynotes includes former Governor Scott Walker and the President of the American Medical Association, Dr. Barbara McAneny. The building will host a variety of mixed-used space including the cross-disciplinary “collaboratorium”, a medical clinic involving a collaboration of staff, faculty, and students from Concordia’s School of Health Profession’s and Batterman School of Business, and meeting space for the Rx Think Tank. Of the over 800 students in CUW’s MBA program, almost 100 of them are pursuing a degree in the health care administration track – a number that has significantly increased over the past few years. If this wasn’t exciting enough the Batterman School of business has recently accepted its newly revised Healthcare Management major for traditional undergraduates. This comes at a time where the growth of traditional undergraduate students pursuing this major has continued to increase. With this revision comes the opportunity to revisit, revise and enhance the current associate and graduate level curriculum offerings to ensure what is being offered to students maintains a high level or relevancy and rigor to best prepare students for their career aspirations in healthcare. Andrea Palm, Governor Ever’s pick to lead the Department of Health Services, is crisscrossing the state this spring in support of the health proposals in the governor’s first budget. Chief among those priorities is expanding Medicaid under the Affordable Care Act, a concept that has so far faced stiff opposition from top Republicans who control the Legislature. A former health advisor for President Barack Obama, Palm will outline the department’s priorities and discuss how her D.C. experience is shaping her new role in the Badger State at a Wisconsin Health News event in Madison at the Madison Club (5 East Wilson Street) on Monday, April 15. The program and lunch opens at 11:45, with discussion starting at 12:15pm). On behalf of the ACHE-WI Leadership Development Program (LDP), we are pleased to introduce Cohort X which includes eight early careerists ready to begin for 2019-2020. ACHE recently awarded chapter innovation grants to nine chapters. The grant program fosters chapter innovation in the development and delivery of new programs, products and services or new methods of delivery that add value for ACHE members. In conjunction with ACHE’s 2019-2021 strategy, we asked chapters to focus on engaging our highest priority near-term audiences: early careerists and clinicians. 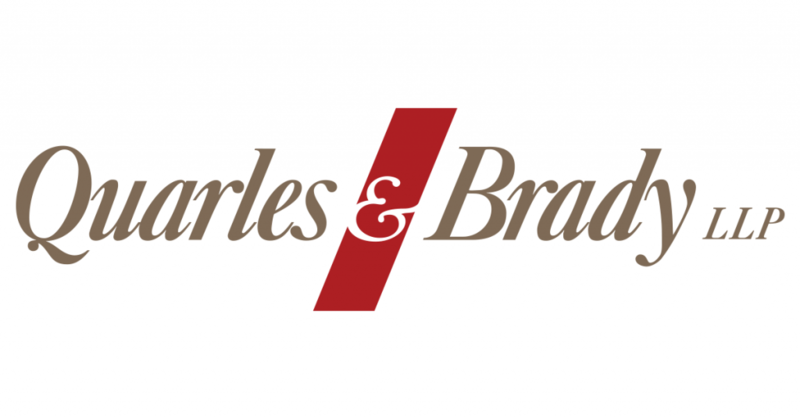 Chapters could apply for two grant types: Chapter-Led (projects that are solely created and executed by the chapter) and ACHE-Chapter Collaborative (chapters will receive resources and guidance from ACHE to help them complete their projects). Learn more about the following awards and their criteria here. 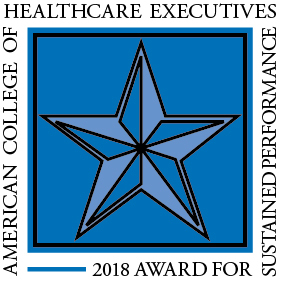 Puerto Rico Chapter of the American College of Healthcare Executives, Inc.
South Florida Healthcare Executive Forum, Inc.
Major changes are looming for Wisconsin’s Medicaid program. Governor Tony Evers and Democrats are preparing a push to expand the program, a move long opposed by Republicans. Meanwhile, the Department of Health Services is working on the roll out of premiums and work requirements for BadgerCare recipients. 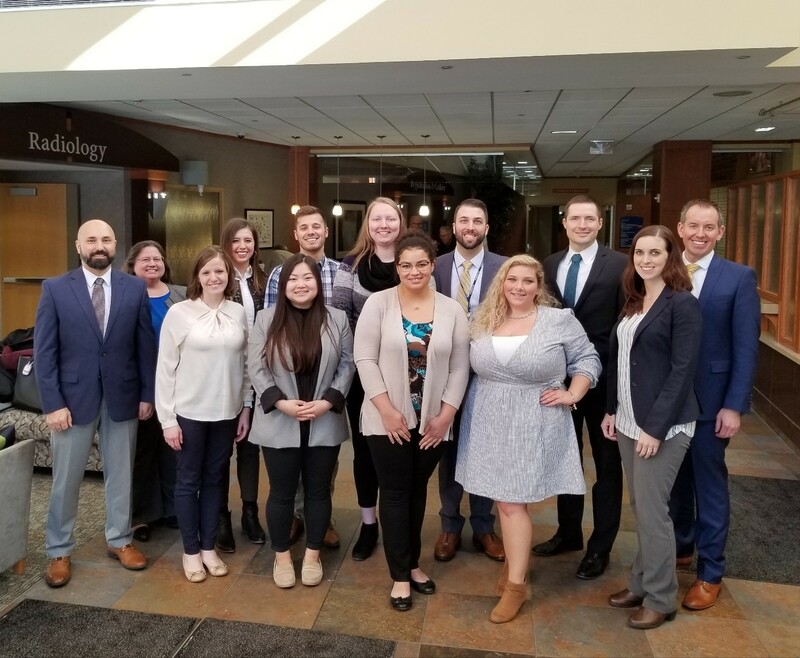 The American College of Healthcare Executives (ACHE) Wisconsin Chapter Leadership Development Program (LDP) capped off its 9th cohort year with Site Visits at Fort Memorial Hospital in Fort Atkinson and SSM Health St. Mary’s Hospital in Janesville on February 8, 2019. The day began with a Introduction to Fort HealthCare, by co-host and cohort member Carl Selvick, Senior Director Clinic Operations. This was followed by an overview of Quality initiatives, with Connie Gilkey, Director-Quality and Integrated Care; and Marie Wiesmann, Vice President-Nursing Services/Chief Nursing Officer. Chris Barron, Executive Director of Executive Population Health and Clinical Services then shared an overview of approaches to Population Health. Michael Wallace, FACHE, President and CEO of Fort HealthCare led a discussion on successful Leadership strategies, and joined the group in meaningful conversation over lunch. 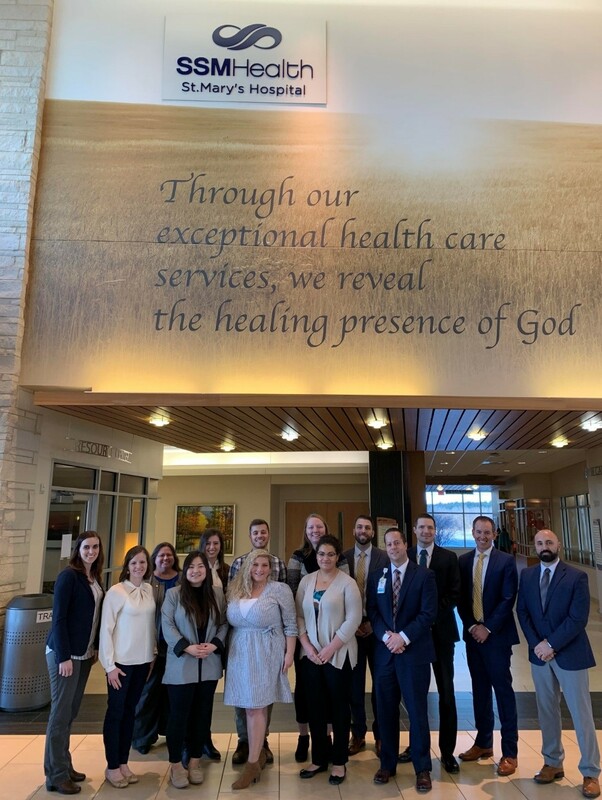 The group then traveled to continue the day with leaders from SSM Health at St. Mary’s Hospital in Janesville, co-hosted by cohort member Aaron Budd. Augustine Duru, SSM Health-WI Regional Director of Mission Integration kicked off the afternoon with a warm Welcome and History of SSM Health. Damond Boatwright, FACHE, SSM Health-WI Regional President of Operations, engaged the group in inspiring and thoughtful reflection while providing an Overview of SSM Health WI. A Panel Discussion on Matrixed Organizations followed, with interactive conversations led by Ben Layman, President at SSM Health St. Mary’s Hospital – Janesville; David Docherty, Vice President/Chief Growth Officer at SSM Health Dean Health Plan; Kayla Murphy, HR Leader at SSM Health St. Mary’s Hospital – Janesville; and Rhonda Kosharek, Clinical Manager at SSM Health Dean Medical Group. The group then headed to Sidelines, Janesville for a networking social to wrap up the cohort year along with mentees from the Future Healthcare Executives student group at the University of Wisconsin-Milwaukee. Thank you to all who participated in making this day an exceptional experience, and supporting our ACHE-WI Leadership Development Program with Cohort IX this past year! Pictured (front row, from left): BJ Brenna, Rachel Cabelka, Kaosheng April Thao, Claudette Ingold, Anna Johannes, Tracy Keenan; (back row, from left): Kathleen Olewinski, Kaitlyn Steinhilber, Jason Homer, Shelby Edl, Carl Selvick, Luke Belter, Brian Michalski. Pictured (front row, from left): Tracy Keenan, Rachel Cabelka, Kaosheng April Thao, Anna Johannes, Claudette Ingold, Aaron Budd; (back row, from left): Kathleen Olewinski, Kaitlyn Steinhilber, Jason Homer, Shelby Edl, Carl Selvick, Luke Belter, Brian Michalski; BJ Brenna. Among the many examples of Frank’s excellent work and commitment is WHA’s annual Advocacy Day, which brings more than 1,000 hospital advocates to Madison for education and citizen lobbying. Frank also provides exemplary support and service to WHA and its members, including many of WHA’s key allied and partner organizations, such as the Partners of WHA and the Wisconsin Organization of Nurse Leaders, among others. Jennifer also serves as the lead staff to the WHA Foundation.